WordPress Categories vs Tags: Learn the difference and how to properly use them! One of the biggest areas of confusion for bloggers I work with is how to use WordPress categories and tags. It’s perfectly natural as your content evolves and changes that your categories and tags lists will get out of control and need to be reorganized. However, by understanding the purpose of categories and tags on your site, you can create an organizational strategy that best fits your content and helps you eliminate those 1000+ tags on your site. 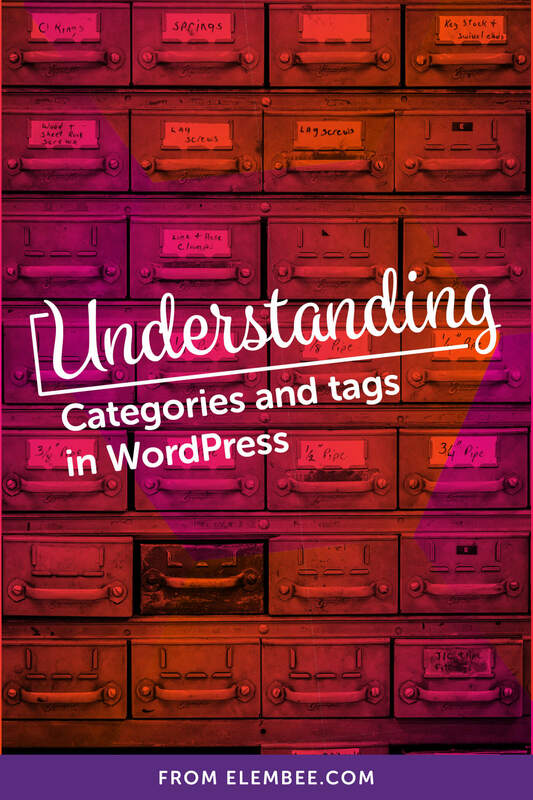 Here are a few things you need to know about using WordPress categories versus tags properly on your site. The easiest way to distinguish categories and tags is to think of your blog as a book. Categories are the chapters, while tags are the index. Think of a cookbook, for example. Let’s say the cookbook is about meals you can cook in 30 minutes or less. If it were a blog, this would be the mission of that blog. Of course, there are a number of ways to present the content. You could group the content by cuisine, with chapters on Mexican, Italian, and French. You could group the content by course, with chapters on brunch, dinner, and dessert. You could group the content by occasion, with chapters on date nights, family dinners, and parties. In each example, the chapters would be the blog categories. But notice there are no hard and fast rules to how you organize your content. 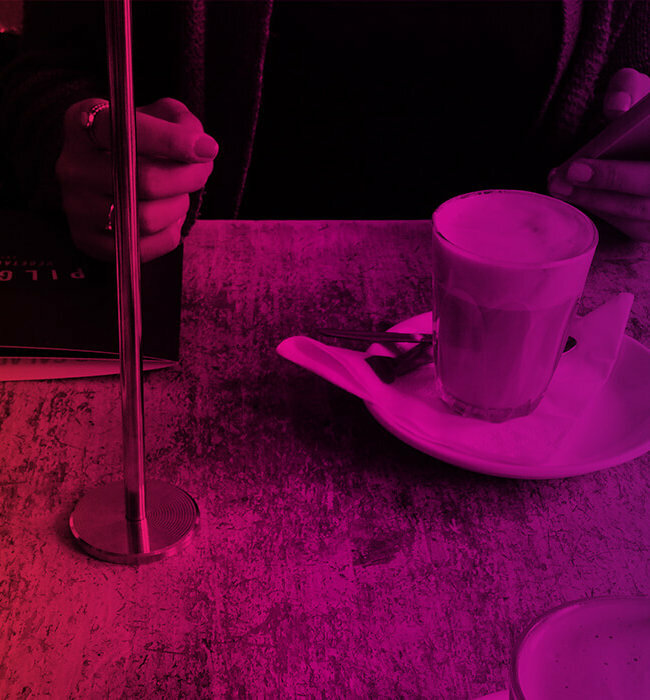 How you organize your content frames the experience for your reader. Though each of these examples cover the same broad topic, each book would be totally different because of its organization. Each book would serve a different purpose. However, in any of these examples you would also find an index. That index would probably be very similar in each book. It would allow you to find all recipes using a certain ingredient, dietary need, or equipment. In fact, the cookbook organized by cuisine would probably also have references to course and occasion in the index. These are the tags, which provide a way to tie content from different categories together. Ultimately, categories show people how to navigate and frame your content, while tags provide reference points to find similar content across your entire site. Categories show people how to navigate your content. Tags provide reference points to connect content. Here’s what you may not know: Ideally, you should only choose one category for each post you write. Going back to the cookbook, this makes sense — a recipe would only appear in one chapter of the book, even if it could technically work in another. This helps people find information where they expect it to appear. It also gives your content more purpose. 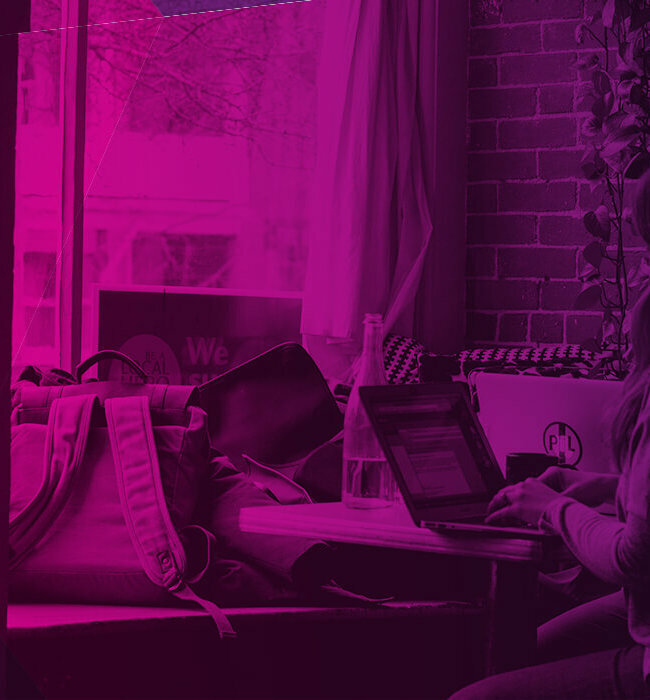 By selecting one category for your post, you’re giving the reader some insight into your intentions and perspective. Often, our content can apply to several categories, so choosing a specific category makes a statement about the content before reading it. For example, I might write a post about how to create an online course. If I categorized it as a business post, then I would want to address the business aspects of creating an online course, like brainstorming ideas, structuring your course, and marketing your course. If I categorized it as a WordPress post, then I would want to address the technical aspects of creating an online course, like choosing the right plugin, selecting a payment processor, and protecting your content. Of course, I could write a post combining the two ideas. But would that really serve the reader? At that point, the content would become more of a short ebook and less of a blog post. Also, someone browsing through my WordPress category archives expects to see technical advice regarding WordPress, not business advice. You might argue that someone interested in learning about how to create an online course with WordPress would also be interest in the business aspects of creating a course. That’s true — and we can still link them to that content through tags. Ideally, you should only choose one category for each blog post you write. What makes categories truly special is that they are hierarchal in nature. This means that you can get more specific through subcategories while still allowing readers to browse broader parent categories. The mistake that most people make when using subcategories is that you do not have to select the parent category. Parent category archives automatically show content for all of its subcategories. Think of lifestyle blogs, for example. 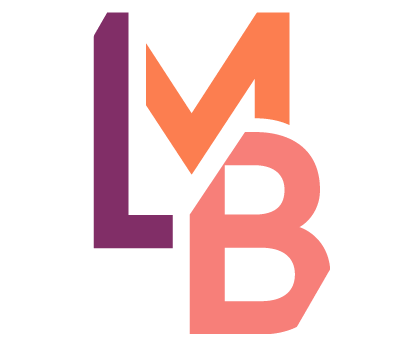 Naturally, lifestyle blogs vary widely in content, but it can also be helpful to get more specific. 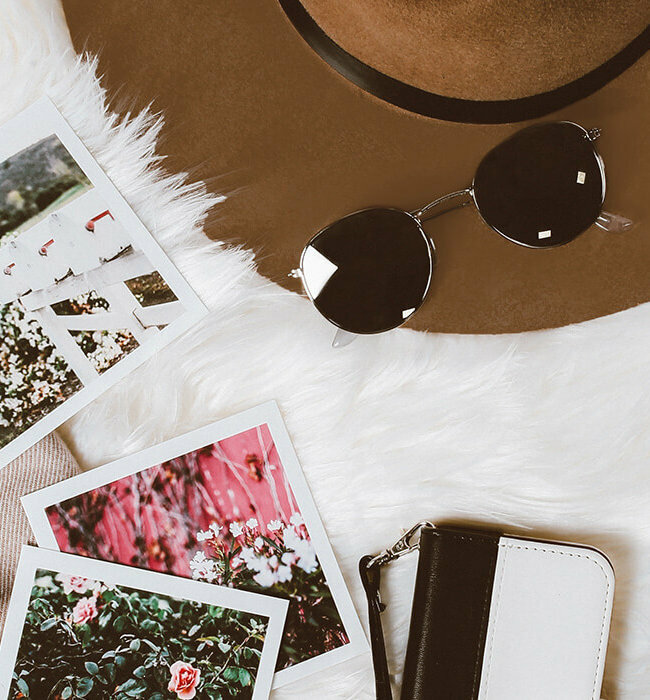 You might regularly publish about style, beauty, and travel. But these are broad categories, and your content likely varies within each individual category. Under style, you might post outfit posts and curated round-ups of your favorite shopping picks. Then under outfits, you might want to organize by occasion, like casual, work, or date night. This is where subcategories come in handy. You would have a parent category for style, two child categories for outfits and round-ups, and then three child categories under outfits for casual, work, and date night. When publishing a casual outfit, you would simply choose the casual category, and WordPress would handle the rest. Readers viewing all of your outfits would still see that post, but then they could drill down further to see only casual outfits. Like the cookbook example, there are many ways to organize outfit posts, like by occasion or by season. The most important thing is to choose an organization method that makes the most sense for your content and the mission of your site, so that readers can find what they are looking for. Choose an organization method that makes the most sense for your content and the mission of your site. It used to be common practice to use tags to stuff as many keywords into a post as possible. If you’re still doing this, you aren’t doing yourself any favors. You see, WordPress creates an archive page for each tag that you add to a post. If you only use a tag for one post, you’re creating an extra page on your site, and you aren’t establishing any sort of authority in that particular tag. Ultimately, the goal of tags is to provide another way for your readers to navigate your content and find similar posts. While categories provide a more rigid structure for your site, tags allow you to cross-reference your content. Think about how your readers might want to navigate your content in a way that’s not already addressed through your categories. A topic you write about often that falls under multiple categories would make an appropriate tag. Ultimately, the goal of tags is to provide another way for your readers to navigate your content. Naturally, your content will evolve and change over time, and your organization methods need to update as well. I recommend the Term Management Tools plugin for this — in fact, I consider this plugin a must-have for any blog regularly publishing content. Term Management Tools adds a few additional options to your categories and tags, allowing you to convert categories to tags and vice-versa, as well as merging two categories or tags, and setting parent categories. Also, don’t forget that you can bulk edit posts on the posts page. Checkmark the posts you want to edit, then choose Edit from the Bulk Actions menu and apply. Then you can add a new category and/or tag to multiple blog posts at once.